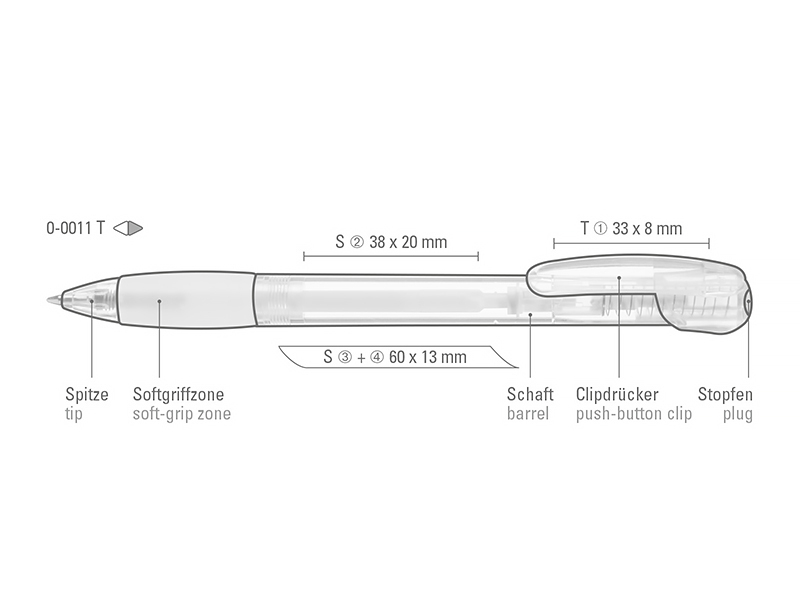 Retractable ballpoint pen with glossy transparent body, soft-grip zone and push-button clip. Slightly curved clip. Push-button terminal in metallic silver.